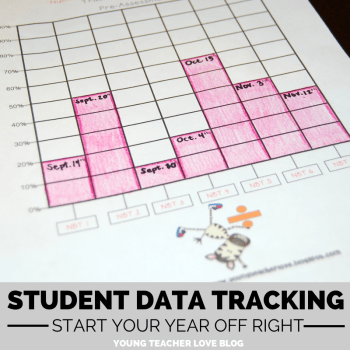 There are always a couple students each year who really struggle to stay organized. These students are not difficult to spot. They often have messy desks and lockers, can’t locate things, are unprepared for class, are unaware of deadlines, have trouble prioritizing, and are unfocused. In the past, you may have ignored these issues, or maybe you tried fixing them by helping your student straighten up every once in awhile. Let me guess, the attempts to help probably didn’t make a difference. Let’s face it, disorganization is often ignored because our instruction time is already too valuable. I was that teacher once – and let me tell you, I was doing it all wrong. 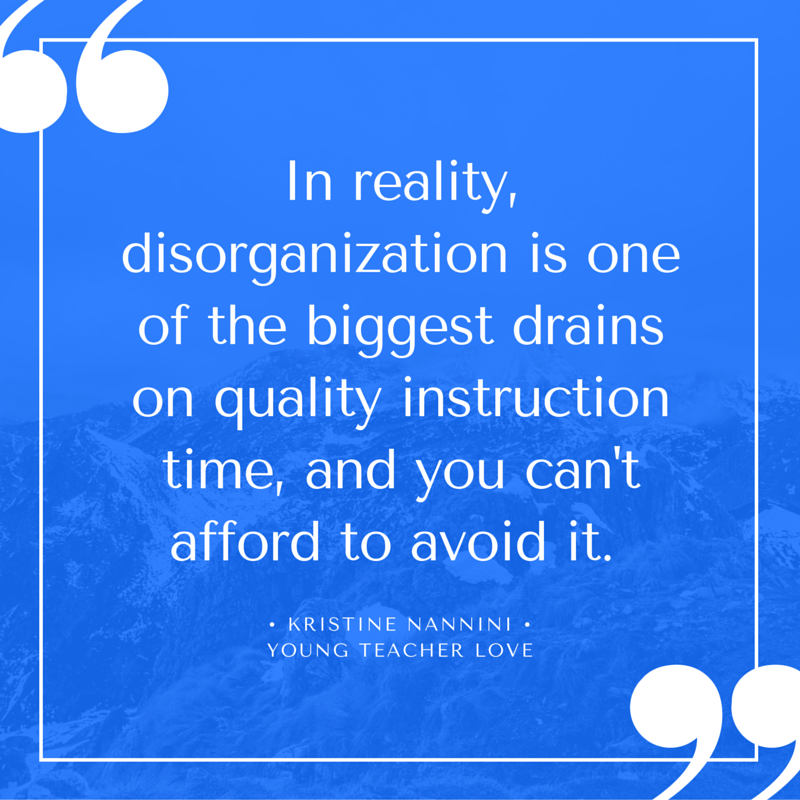 In reality, disorganization is one of the biggest drains on quality instruction time, and you can’t afford to avoid it. Disorganized students can drain so much time in a classroom. They waste their own time when they can’t find supplies, don’t come prepared, and have trouble focusing. Additionally, these students often cause another problem. When disorganized students can’t focus on a lesson or on their own work, they often initiate disruptive behaviors that distract others. So now that you understand why disorganized students can be a problem, what can you do? 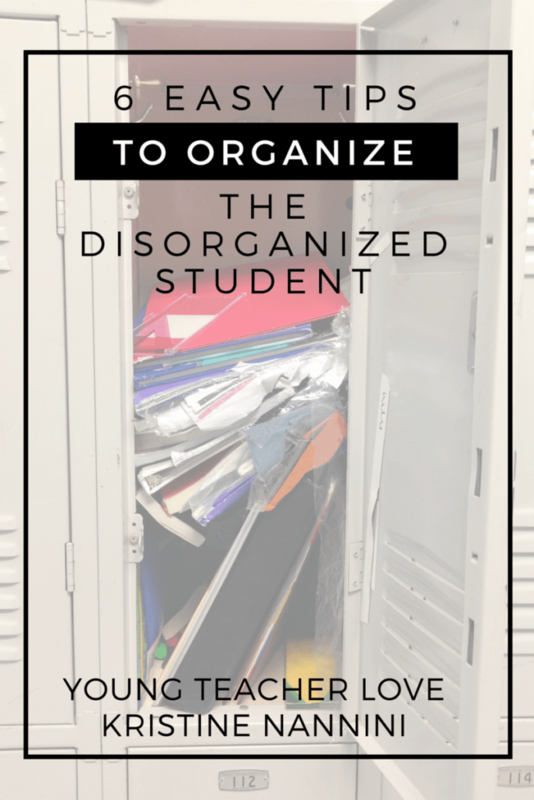 I’ve come up with several tips to help you easily organize your disorganized students. Students’ personal spaces such as desks, lockers, or cubbies need to be clean and organized. Studies out of Princeton and The Journal of Neuroscience have found that clutter or messiness in an environment competes for a person’s attention, leading to decreased focus and increased stress. These studies were done on adults with fully-developed brains, so imagine the effect on our students. There are a few different strategies to help keep students’ personal spaces clean, but one worked well for me. First, I established the “Clean Routine.” I explicitly taught my students how to clean their desks and lockers. You can refer to my blog post HERE to learn how I teach and model routines and procedures in the classroom. Our routine works like this: Every Monday morning, I have all of my students pull everything out from inside their desks and put it on top. The food wrappers, half-empty water bottles, and other trash is immediately discarded. Any items that they do not need to complete their schoolwork goes home in their backpack. They open their home/school folders or subject folders and neatly place any loose papers in the appropriate folder. It’s important that everything has a home, and it’s important that you teach students how to neatly place papers in a folder. Many students will try to crumble and shove papers in folders. This causes folders not to close properly, thus leading to more chaos and disorganization. I allow students to keep only 2 chapter books in their desks at a time, no toys or electronics, and every loose supply, like crayons and colored pencils, needs a home. If they do not have a pencil box, then I give them a large freezer bag to store things like crayons, pencils, scissors, etc. Then, I have them lay out the inner contents of their desk in a neat pile on top of their desks. I walk the room and “approve” student piles as they finish cleaning (bonus- give your students a sanitized wipe to quickly wipe out the inside of their desks. A quick way to eliminate germs each week!). Once they get the quick head nod of approval from me, they immediately put their contents back in their desk and begin their morning work. As the year progresses, I start to put some of my extremely organized students in charge of this each morning. They love having this responsibility, and it frees me up to do those important morning things like attendance and lunch count. As long as you explicitly teach this “Clean Routine” at the beginning of the year, every part of this routine places the responsibility on the student. So the longer the student takes to complete this routine, the less time they will have to work on their Morning Work. My students love the Morning Work that I’ve created because it’s fun jokes, riddles, and games. They’re bummed when they can’t start it right away. You can read more about this HERE. After a few weeks, most students learn to differentiate between necessities and garbage on their own and quickly make it their routine. As the year progresses, we take no more than three minutes to finish this routine each Monday morning. It’s important to note that this “Clean Routine” is done on a Monday morning. Many teachers choose to clean and organize on a Friday, but I disagree with this. By having students clean and organize on a Monday, you are teaching your students that they need to start their week off on a positive note. By having students get organized on a Friday, you are teaching them that they can be extremely disorganized all week, and they will get the chance to clean up their mess on a Friday. With this weekly reminder, even chronically disorganized students quickly start having clean personal spaces. The title says it all. Now that students have discarded the junk, they also need to organize and account for the things they do have. To help them, I model exactly how they should organize their desk, books, supplies, and papers. I also keep a diagram posted in the classroom to remind them. While you may have never realized that you need to do this (and I didn’t at first either), it’s so important that you explicitly teach your students how to organize their belongings. You need to explicitly teach your students how to do things like neatly place a paper inside the appropriate folder, how to stack textbooks in a desk, how to reorganize your desk if a binder doesn’t fit correctly, which supplies belong in a pencil box, etc. 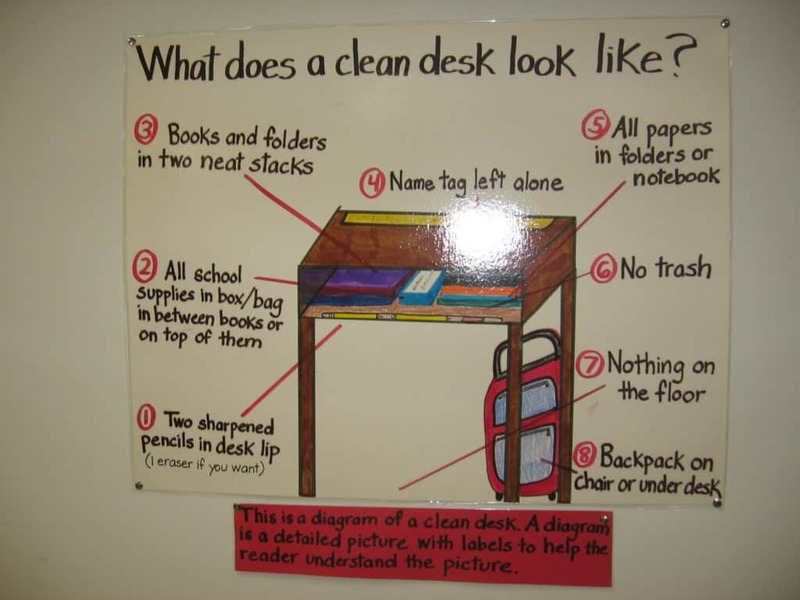 Angela Watson from The Cornerstone For Teachers has an awesome visual titled, “What Does a Clean Desk Look Like.” Click HERE to read more about this visual on her blog. As the teacher, you must set the example. You can’t demand student organization if your classroom has clutter everywhere. If there are boxes stacked in corners, papers haphazardly strewn about on your desk, books and resources jumbled everywhere, and messy overflowing cabinets, your students will use this as the example. It sends the message that they can be jumbled, unfocused, and worst of all – lazy. Your own classroom should have a clearly designated place for everything. Your desk should always be neatly organized with no clutter in sight. Confession: This is really hard. I get it. My solution? I opted to eliminate my desk completely. I now have two bins for papers. One for incoming papers and one for outgoing papers that I have dealt with. I also have an accordion folder for papers that need to be checked, and another accordion folder for papers that are checked and need to be passed back. I have a binder for my planner and a small cup for pens, pencils, highlighters, etc. That’s it. No more messy cluttered teacher desk. I keep these few things in a bin, and I tuck the bin away in a closet. Student seating should also be organized, and allow for clear aisles and walkways. In addition to this, keep reading nooks with soft seating orderly and organized. It doesn’t matter how you organize things, but don’t just throw things around to get them out of sight and deal with them later. Give everything a place, and be intentional about it. A peaceful and organized learning environment will send a strong message to your students, keeping them organized and focused. Many studies have shown the benefits of color-coding. A 2006 study at John Hopkins showed that color-coding items allow people to track, organize, and remember large amounts of items in a visual scene. Color-coding is multi-sensory and helps the disorganized brain easily categorize and build associations between things with uniform colors. This really is a game-changer for students who struggle to locate things. Have students color-code each subject. Having a specific color for each subject will help students locate materials and assignment quickly and easily so that they are prepared each time you transition to a new subject. The same color cues around your classroom can also help students locate where to turn in assignments, return supplies, replace books on a shelf, etc. 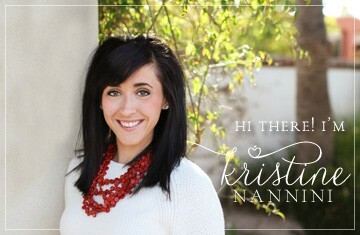 I got some really great ideas on color-coding the classroom from Kristen over at Ladybugs Teacher Files. You can read about how she color-coded her classroom HERE. Checklists and planners are a great way for students to visualize all of the tasks that they need to get done. You can have checklists for a number of different things around your classroom. You can put a checklist in the disorganized student’s locker that includes the items he or she needs to bring into class each day. You can put a checklist at the disorganized student’s desk that lists the order of completing the morning routine each day. 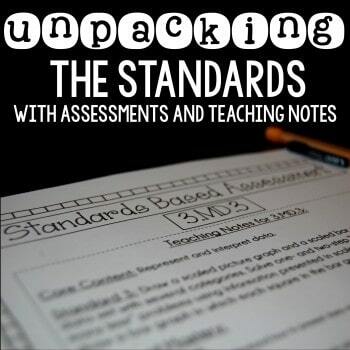 The possibilities for checklists are endless depending on the student and their needs. In addition to checklists, planners are a great tool to help students get organized. I explicitly teach students how to fill out their planners each day as part of our classroom procedures. I model for students where to write, what to write, and how to write it. Most planner companies offer an enlarged version of their student planners that you can attach to a bulletin board or you can simply project a copy of the student planner on a document camera. At the end of each day, I have students take out their planners and write down any homework that needs to be completed, and important upcoming events or dates, and any other tasks that they need to complete before the start of the next school day. To make my expectations clear, I say the exact words that I want students to write down. By itself, a planner is a great tool that motivated students can use to help get themselves organized. However, many disorganized students may forget to bring their planner, fake like they are writing things down at the end of the day (seriously! ), or just lose it altogether. 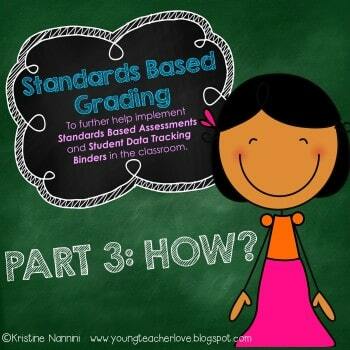 For these students, you may have to take an extra step to hold them accountable. I typically walk the room when we are filling out planners, and give gentle reminders (like putting my finger where the student should be writing). I may even have some students bring their planner to me to show me that they have filled it out. I typically only have to do this a few times before these students get the picture. As an added level of accountability, I also have parents sign student planners on random occasions so that they know the exact assignments and tasks their child should be completing. While not always easy, this step is very important. When it comes to homework, tasks, and organization in general, there is often a disconnect between parent, student, and teacher. You know the assigned work, the student knows the assigned work, but often, parents do not. Parents may not realize there is an issue until progress reports, conferences, or even worse, report card time. It’s so important that you are constantly communicating with parents about their child’s organization. Make phone calls, write notes in planners, etc. A very easy way to get parents involved is to have them sign their child’s completed daily planner. It’s a simple way to bring everyone on board. Also, if issues persist despite signatures on the daily planner, you can call home to work out any other issues that may be getting in the way of the student staying on task. Excellent article! I’ll be sharing it with my mentees. You explain why it’s important and how to build it into your routines. Thank you! This is excellent. I love it. It’s given me some great ideas of how to help my sophomores. I love organizing, but have never figured out how to help my students be more organized. Now I just need to be disciplined and follow through. Thanks so much, Katy! I’m so glad to hear that my ideas can even translate to high school! I love the idea of cleaning the desk on Mondays! I’ve worked so hard on routines, and I have always explicitly told my students what may be kept in their desks, but it never occurred to me that we might do this together each Monday! Love it! Thanks so much, Heather! :) I appreciate your comments! Oh! A great article! As for me as for a teacher, it is useful not only for the ability to organize students but myself too. It`s not easy to do. The teachers are too busy all the time. That`s why the first task is to organize the time! You help me, thanks one more time! Thanks so much for your kind words, Mary! I’m so glad to help!